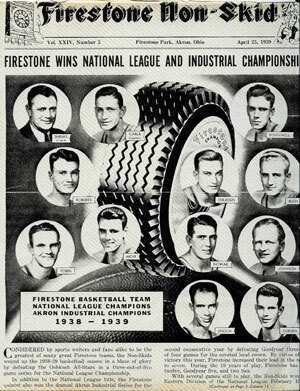 In their 1941 playoff loss, the Firestones may have been the first professional basketball team to travel by air as they flew from Detroit to Akron. One interesting player that played for the Non-Skids is Howard "Soup" Cable. 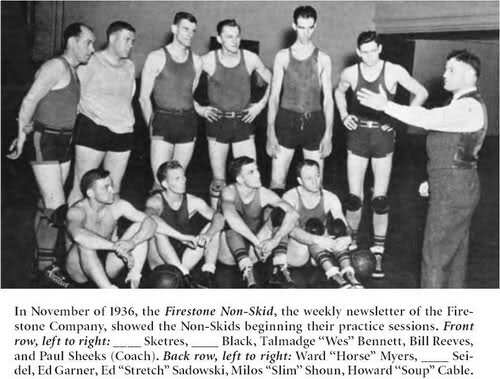 Cable may be the first recorded player to jump from High School to the pro's, which he did in 1937. 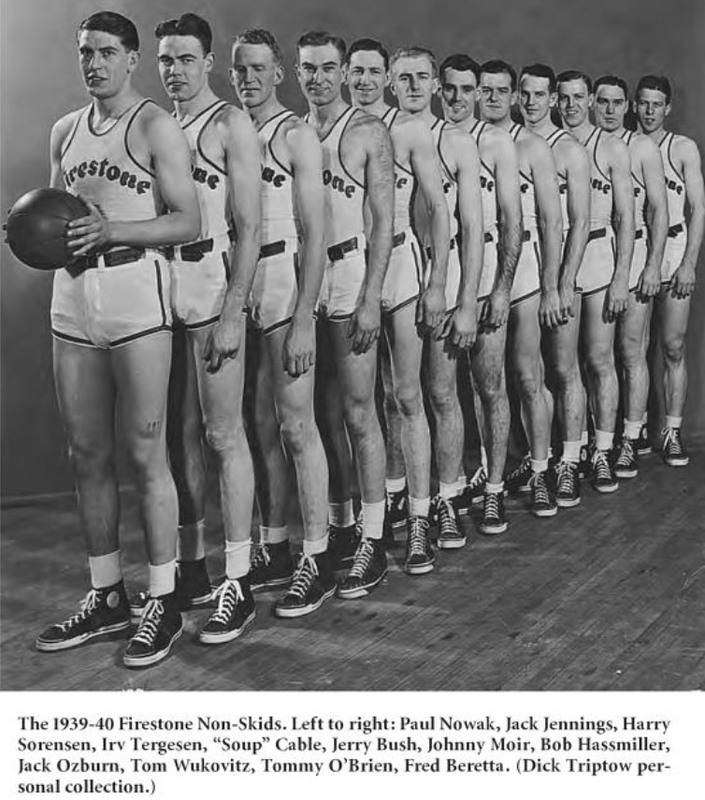 Chuck Taylor, the guy for whom the shoes are named after, was a player for the Non-skids and also an employee of Converse; who made the Chuck Taylor All--stars shoe.